Background/Purpose: Baricitinib is a small molecule inhibitor of the Janus kinase (JAK) pathways that reduce and modulate the production of inflammatory mediators and cytokines. We conducted a systematic review to evaluate the efficacy and safety of baricitinib for the treatment of patients with rheumatoid arthritis. Methods: A comprehensive search of the literature was conducted in the following electronic databases: Cochrane Library, MEDLINE, EMBASE and Web of Science through April 2016. Also, we searched clinicaltrials.gov. Any randomized controlled trial (RCT) comparing baricitinib alone or in combination with any DMARD versus placebo or other traditional or biologic DMARDs for the treatment of patients with rheumatoid arthritis were included. Two independent reviewers performed study selection, data collection and risk of bias assessment using Covidence.org. Our primary outcome was the percent of patients achieving an American College of Rheumatology (ACR) 50% response. Secondary outcomes included: clinical remission (Disease Activity Score (DAS<2.6)), minimum clinical important difference (MCID) ≥0.22 in the Health Assessment Questionnaire (HAQ), total withdrawals and serious adverse events (SAEs). Results: Out of 171 citations, 7 RCTs met our inclusion criteria. Most studies were published in abstract format and risk of bias assessment was judged unclear in most domains. Five studies compared more than two doses of baricitinib, however, we only report here results for the dose of 4 mg once daily. Four comparisons were included: i) baricitinib plus methotrexate (MTX) vs MTX, ii) baricitinib alone vs MTX, iii) baricitinib plus MTX vs adalimumab (ADA) plus MTX, and iv) baricitinib plus MTX vs baricitinib alone. For the combination of baricitinib plus MTX, more patients in the baricitinib group achieved an ACR 50 response and clinical remission compared to patients in the MTX group at 12 and 24 weeks (at 12 weeks patients in the control group were re-assigned to baricitinib). The combination group reported lower withdrawal rates at 24 weeks (RR 0.61, (95% CI 0.47-0.81) and similar SAEs at 24 weeks compared to control. For baricitinib alone vs MTX, improvement rates were higher in the baricitinib group at 12 weeks (RR 1.7, 95% CI 1.3-2.1; 1.8, 95% CI 1.2-2.6; 1.3, 95% CI 1.2-1.4; for ACR50, clinical remission, and MCID HAQ rates, respectively). No differences were found in total withdrawals or SAEs. When baricitinib was compared to ADA, greater rates of ACR50 response were observed in the baricitinib group at 12 weeks (RR 1.3; 95% CI 1.1, 1.5); but also higher rates of SAEs compared to the ADA group at 24 weeks were reported (RR 2.5; 95% CI 1.0, 6.1). No significant differences were observed between baricitinib plus MTX compared with baricitinib alone. Conclusion: Baricitinib alone or combined with MTX had better efficacy responses compared to MTX alone at 12-24 weeks. Total withdrawal rates were lower in the baricitinib combined group when compared to MTX. Baricitinib had similar effects compared to adalimumab, but higher rates of SAEs. Baricitinib can be considered an additional therapeutic option to treat patients with moderate to severe disease who have an inadequate response to other treatment agents. Disclosure: N. V. Zamora, None; J. Tayar, None; M. A. Lopez-Olivo, Rheumatology Research Foundation, 2; R. Christensen, R. Christensen Consultant for:, 5; M. Suarez-Almazor, National Institute for Musculoskeletal and Skin Disorders, 2. Zamora NV, Tayar J, Lopez-Olivo MA, Christensen R, Suarez-Almazor M. Baricitinib for Rheumatoid Arthritis: A Systematic Review and Meta-Analysis [abstract]. Arthritis Rheumatol. 2016; 68 (suppl 10). 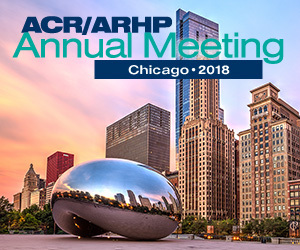 https://acrabstracts.org/abstract/baricitinib-for-rheumatoid-arthritis-a-systematic-review-and-meta-analysis/. Accessed April 21, 2019.